Richmond, we are in for a treat this Friday night — one that is both rare and unlikely to come again. I suppose there’s an outside chance you won’t recognize Brian Wilson’s name by itself like this, but you’re sure to know a great deal of his work as the bassist, vocalist, and chief creative mind behind the Beach Boys in their 60s heyday. Wilson wasn’t just an advocate for surf, sand, and killer falsetto harmonies, either; while songs like “I Get Around” and “Help Me Rhonda” are indisputable pop classics, it’s the material he created when he started growing up and getting more ambitious that has really made Brian Wilson a crucial figure in the last half-century of pop music. The pinnacle of Wilson’s creative genius was Pet Sounds, a 1966 Beach Boys album that saw him skipping tours to stay home in the studio with legendary LA studio band The Wrecking Crew and create a towering masterpiece of symphonic pop. Wilson was known to refer to these elaborate creations as “teenage symphonies to God,” and that admittedly grandiose statement is fully borne out by the brilliant results he achieved. Pet Sounds featured several classic tunes that have been staples of the musical landscape ever since — “Wouldn’t It Be Nice,” “Sloop John B,” “God Only Knows,” and more — and went on to influence everyone from The Beatles to Animal Collective. Now, over 50 years after that classic album was released, Wilson is doing one last tour to commemorate Pet Sounds, after which he intends to retire the album from live performances. Now, Brian Wilson is no spring chicken; he’s 76 years old, and actually had to reschedule this date from earlier this year due to health issues. Fortunately for us, after years of struggling with mental illness and being taken advantage of by unscrupulous managers, he’s been in top form for over a decade now, finally completing SMiLE, his long-abandoned follow-up to Pet Sounds, 15 years ago. He’s released two solo albums since then and, while not perfect, they are both far more enjoyable than what his cousin Mike Love did with the Beach Boys after Wilson left the group (“Kokomo,” anyone? Bleh). He’s accompanied on this tour by fellow original Beach Boy Al Jardine and early 70s Beach Boys bassist Blondie Chaplin, as well as a large complement of talented musicians who’ll reprise the fabulous work of The Wrecking Crew, all those years ago. God only knows, tickets are not cheap, but if you can wait a couple weeks to pay the power bill, you’ll get all the light you need to get you through the cold winter months ahead from this show. Highest possible recommendation. 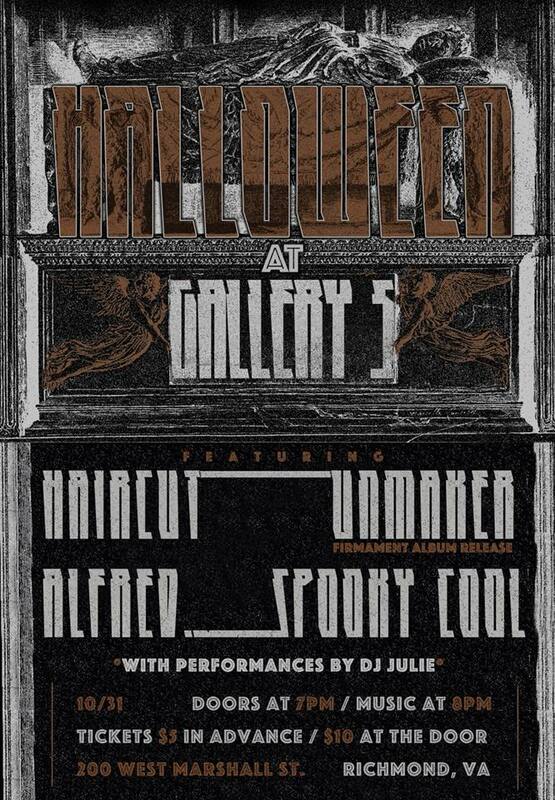 We went through a solid week of Halloween-related shows last week, but the holiday still hasn’t finished yet, so let’s give it one more round before November begins with this wild night of underground sounds at Gallery 5. You’ll definitely find yourself in the perfect place to enjoy the spirit of the holiday, with spooky decorations everywhere, tons of glitter, and the always-enjoyable costume contest! So get dolled up, hit the Gallery, and get ready for the main attraction — which is, of course, the music. Gallery 5 has brought together several excellent musical acts from the local area with which to celebrate All Hallows Eve, spanning a wide variety of genres. And it’s gonna rule. Haircut will bowl you over with a blast of angry, speedy punk, complete with bilingual lyrics and some relatable themes under all the vitriol. Unmaker have a goth-postpunk vibe that will appeal strongly to those who are bummed about Shadow Age going on hiatus, but will also connect with those who like the more metallic end of that whole thing (think Killing Joke). This show will constitute a release party for their new LP, Firmament, and where better for a goth band to have a release celebration than a Halloween party? The lineup’s rounded out by Alfred, a young rapper with a fresh approach to the weirder electronic end of that particular musical spectrum; and Spooky Cool, who recently made good on the promise of their years of local buzz with debut EP Every Thing Ever. No matter what flavor of the local scene you enjoy, you’re sure to get a taste of it here — and have an outstanding Halloween as well! Who can complain about that? Nickelus F’s been one of the better rappers in this city — hell, this country — for over a decade now. Quite a few years over the past ten to fifteen have seemed like they were going to be his year, but somehow, it never seems to come to pass. 2018, though, seems like it might finally be the one. First he paired up with local punk rock label Vinyl Conflict for a vinyl release of his latest album, Stuck, which by the way is also a high-water mark in a career full of excellent releases. Then he got together with Richmond rap weirdo Lil Ugly Mane for a tour that took him across the country, playing to everyone from true-blue hip hop heads to moshpit-loving metalheads and punk maniacs. It feels like that whole punk rock-hip hop fusion that we all expected to happen after Rage Against The Machine and the Judgment Night soundtrack (instead we got Limp Bizkit. Ugh) is finally coming to pass. 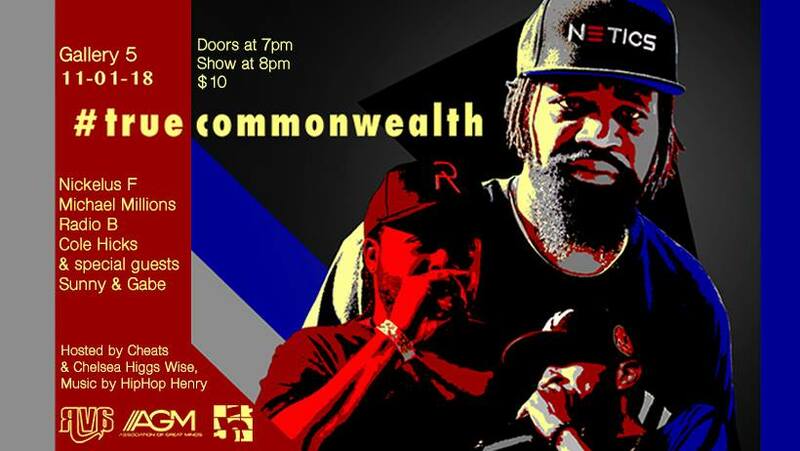 So now, with this True Commonwealth show, Nickelus F stands at the top of a stacked bill featuring several of Richmond’s top hip hop talents. His compatriots in the AGM crew, Michael Millions and Radio B, have both demonstrated their styles and talents this year with new albums of their own — Hard To Be King and Jesus Never Wore A Suit, respectively. Taken in tandem with Stuck and Cole Hicks’s incredible coming-out party, May Day — also released in 2018, natch — the True Commonwealth showcase at Gallery 5 encompasses the top level of rap talent at work in RVA today. And that’s definitely something you’ll want to be part of, especially since the show will also feature a special guest performance from hot VA Beach duo Sunny and Gabe. They’ve got a 2018 album of their own, Peace Of Cake, and it shows off their wide-ranging sound just as they will do to get this party started tomorrow night. Don’t miss a moment. The indie kids should find a lot to enjoy at this show — but they aren’t the only ones. Mothers, who started in Athens, GA but moved to Philly last year, have a sound that definitely hints at the tension between beauty and darkness that marks the best music coming out of the indie scene these days. But they’ve got a good bit more going on, as they display on their sophomore album, Render Another Ugly Method, which just came out from Anti- Records. Its moments of languid torpor (“Beauty Routine”) hint at an uneasiness just under the surface, while the more energetic sounds found on the album (“Blame Kit”) function in lockstep, in a manner that almost sounds more like strained aural nervousness than painstakingly well-practiced tightness. 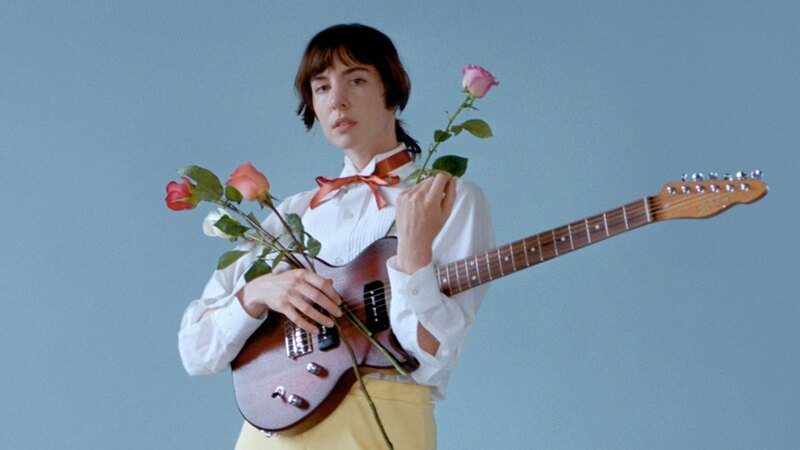 That is by no means a criticism, though — it’s this tone that suffuses throughout Mothers’ music that really makes them evocative, that brings the ideas the band is expressing through their somewhat abstract lyrics to solid, concrete life. Mothers will take you on an emotional journey, and if you’re not entirely comfortable with all the places you’ll go, you will at least be enjoying some excellent music on the trip. Mega Bog has a similar clearly-delineated wire-tight melodic indie-postpunk sound, but the emotional effect is very different, both brighter and deeper. Connect with both of these bands, and up-and-coming local opener Addy, and see where the night takes you. It’s sure to be an interesting trip. We’re heading rapidly toward the winter months, and now is the perfect time to get an increased dose of metal into your life. And rest assured, Strange Matter has the cure for what ails you, in the form of this tour package bringing together examples of brutal metal power from both sides of the Mason-Dixon Line. 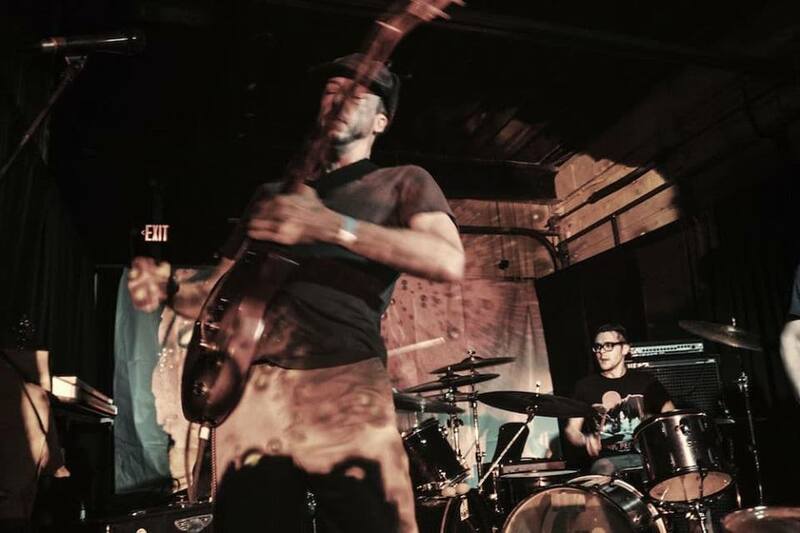 Abacus hail from the South — South Carolina, to be specific — and have a thick, dark sound full of harsh guitars and roaring vocals that pummel you just as hard as the punishment their rhythm section deals out. 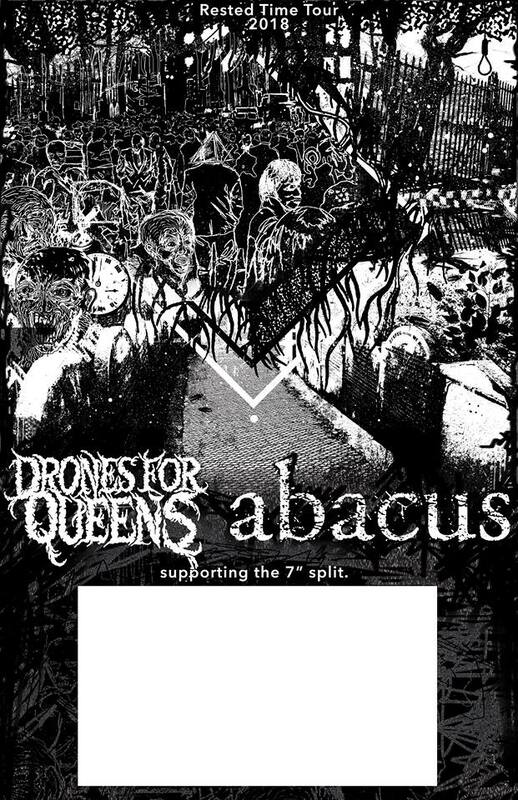 Drones For Queens, who come from the northward locale of Philadelphia (always a hotbed for music and meanness), are just as ready to inflict some serious metal punishment as Abacus. They’ve got a slightly faster and cleaner approach, which just means it’ll take you longer to realize that their harsh vocals and thrashing guitars have slit your throat. Protect your neck — you’ll need it for headbanging. These two bands are on tour in support of their just released split EP, so make sure you attack the merch table with vigor in order to secure yourself a copy — this is one slab of rage you’ll want by your side throughout the winter months. Local mainstays Voarm and Hoboknife will open this show with a flagrant display of intense heavyosity. Get ready. Atlanta’s Omni are back at Gallery 5 once again, thanks as always to their pals at Citrus City Records, and all you indie kids who love to dance are going to want to make sure you’re there for it. 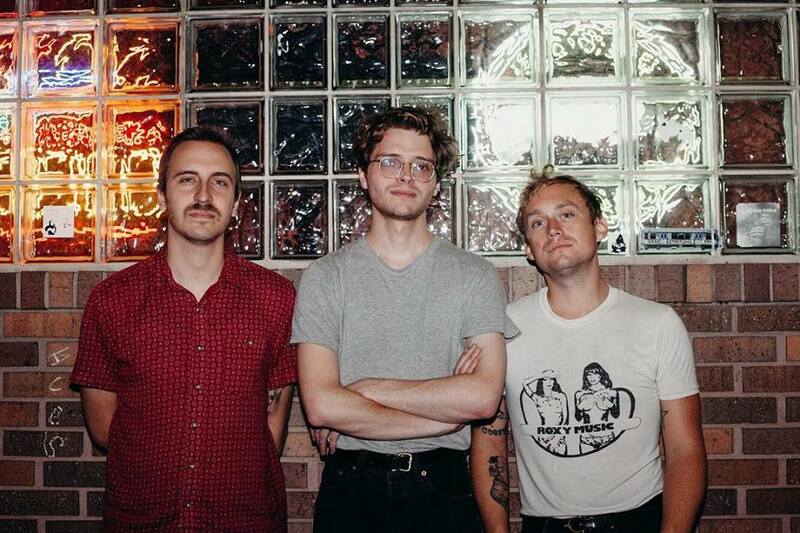 Omni’s definitely got a little of that tuneful guitar jangle that we’ve all come to know and love from Citrus City’s many releases, but they bring in a solid dose of Southern-style postpunk as well, drawing inspiration from Georgia underground legends Pylon as well as Wire and The Feelies. I know I’m losing my younger readers with these comparisons, but an obvious modern reference would be Parquet Courts, mixed with the nervous dancefloor shuffle of the Talking Heads and that one Franz Ferdinand song everyone knows (and a lot of their other songs too). Majjin Boo is a well-paired local to act as support on this bill; they’ve definitely got that same sort of wire-tight guitar bit that permeates Omni’s music, though Majjin Boo seems to derive it far more from the lighter, twinklier take on math-rock that several local bands have done an excellent job with in the past. Are they the next Fight Cloud? We can only hope. Finally, we need to mention the fact that openers Black Plastic suffered a pretty devastating setback recently, in the form of a house fire that destroyed most of their equipment and left members in need of a lot of financial support to get back on their feet. Whether or not you can make it to this show, they’d certainly appreciate whatever you’re able to throw their way via GoFundMe. But they’re gonna appreciate y’all showing up on time and giving them a warm reception just as much — and believe me, their brand of catchy, twangy power-pop certainly merits exactly that. So please, show up on time and give them some love. Oh hell yeah. Yashira coming to town is a very good thing, regardless of whether it’s happening on a Monday night. Look, I know you’ll be tired from the weekend, and you’re still coming down from your Halloween hangover or whatever, but I don’t care. You need to go see this band. 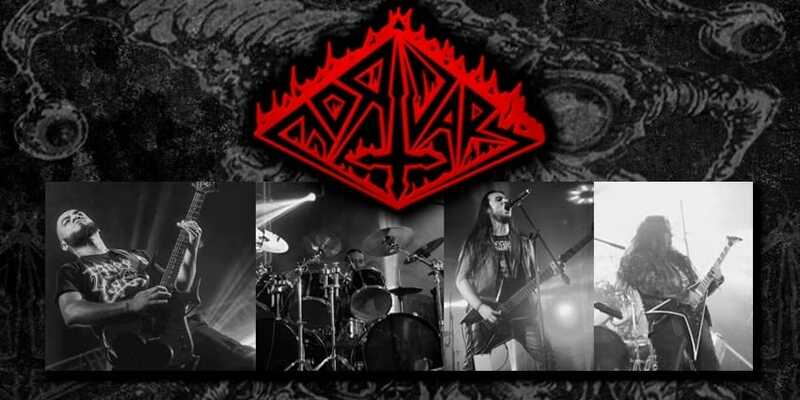 Yashira are an incredibly heavy band who are incorporating the epic heaviness of bands like Neurosis and early Mastodon with the kind of epic grind-crust madness of Tragedy and His Hero Is Gone. Their latest LP, Shrine, is an excellent example of this sort of thing that gets through its six songs just quickly enough to leave you wanting more. Of course, now they’ve followed it up with a split EP with none other than metalcore legends Zao, and they’ll be laying waste to Strange Matter this Monday night. What more could you want? It would be so cliched for me to say “you could want the other three excellent bands on this bill,” but when the bands are indeed this amazing, how can I avoid it? Florida’s Gillian Carter are a band with a lengthy history of excellence in the field of metallic screamo, or something like that (even to this day, I can’t type the term “screamo” without cringing). Their new LP, …This Earth Shaped Tomb, is full of the simultaneously heavy and passionately emotional riffage that has become this group’s stock in trade, and proves that regardless of how silly they act on stage, there is real, powerful music at the heart of their existence. VA openers Infant Island and In Wolves Clothing exemplify the next wave of Virginia screamo (ack) and do so in outstanding fashion, so be sure you catch every second of this one. OK, let’s get this out there from the start — Scott Bradlee’s Postmodern Jukebox is hipster bait of the highest order. Covers of already-proven hits, redone to sound like different genres? Suburban goofballs have been gaga for this ever since the first time they heard the phrase “dynamite hack.” That said, I really can’t deny the talent at work here — nor the fact that jazz, unlike a lot of modern popular-music styles, was throughout its history far less about original composition than it was about putting your own stamp on tunes that might be your own… but might be well-loved standards that everyone knows. After all, it was this tradition that brought us John Coltrane’s take on “My Favorite Things,” and I certainly can’t hate on that. 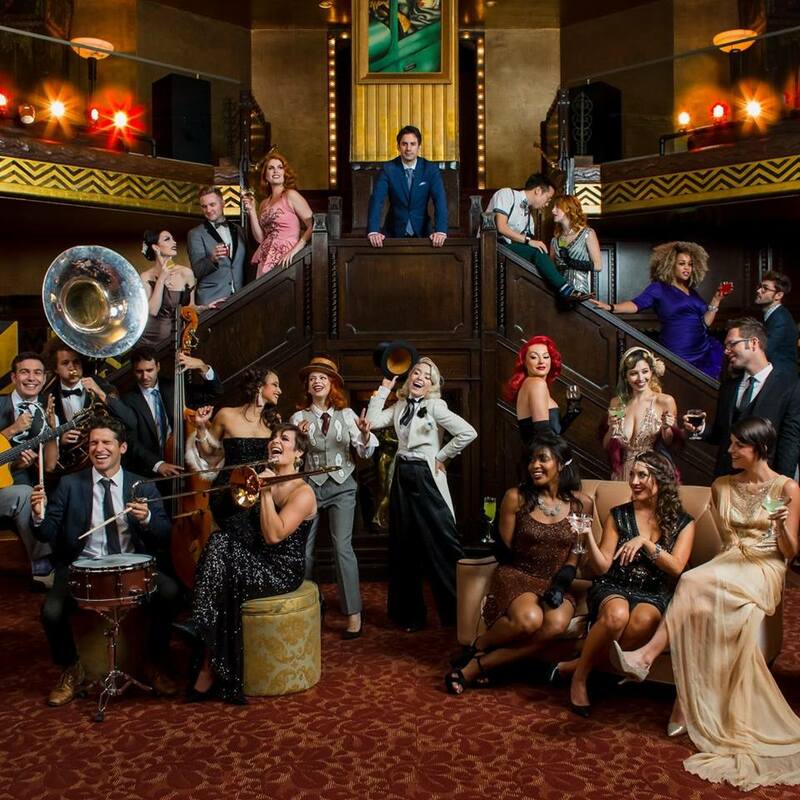 So should you go see Scott Bradlee’s Postmodern Jukebox on Tuesday night at the National? Well, probably not if you hate jazz and swing — but if you see merit in these classic American music forms, and would like to see one very talented pianist and quite a few of his equally talented friends update those styles for the 21st century by applying them to songs from Michael Jackson’s “Thriller” and Toto’s “Africa” to Katy Perry’s “Roar” and Miley Cyrus’s “We Can’t Stop,” well, this is the place for you. Feel free to wear your best three-piece suit or cocktail dress and dance it up on the floor. But on the other hand, if it’s a little too soon after Halloween for all that, you’re welcome to just come as you are. Even if you hate hipsters, you’re sure to enjoy yourself. You guys — Mortuary is coming! The true headbangers among you are already stoked, but for the rest of you who need an explanation, let’s discuss the power and brutality dished out by Mexico’s pioneering group, who made their name by bringing death metal to the masses from their support slots on some huge Slayer tours in the late 80s. Their 1990 album Blackened Images is a cult classic today, its primitive and overpowering sound serving to light a fire under all the incredible riffs that come flooding out of every song, backed by incredible drumming and some seriously unhinged vocal roars and screams. Mortuary were doing their thing before the deep growl became de rigeur in death metal, and the raging howls of their vocalist add a lot to their already blazing sound, connecting the group with its thrash influences and pointing the way forward into the more extreme genres that rule the metal scene today. Some excellent VA-area bands will be demonstrating those sounds from their support slots on this bill, from local legends like Battlemaster and Vorator to up-and-comers like Rotten and Hiss. All of it’s gonna be outstanding, and if you can afford to show up late with a headache to work on Friday morning, the drive down to Chesapeake’s RiffHouse Pub is more than worth it for this opportunity. Make it happen, metalheads. If you like your underground rock bands both heavy and progressive, you need to be paying attention to what’s going on at the Taphouse Grill in Norfolk this Friday night. Bantustans, a Norfolk-based dual-drummer quartet who don’t have time to mess with vocals, are all set to lay down some heavy instrumental grooves that’ll keep your head nodding and your brain engaged regardless of the lack of lyrics. The complex rhythm patterns laid down by the group’s two drummers are both consistently in step with each other and allow for far more variation and creativity than is typically the province of the percussion. Not to be outdone, guitarist Aaron Evans’s tangled melodies and intricate song construction use a single guitar to add multiple layers of intrigue to this group’s unusual, hypnotic sound palette. They’ll be bringing some new material to this one, too, so it’s sure to delight even the most ardent of fans. Bantustans are joined on this bill by New York heavy rockers A Deer A Horse, who certainly present just as enticing a musical buffet for the interested showgoer as the hometown headliners do. Having been around for close to a decade now, A Deer A Horse still haven’t given us a full-length yet, but they’re hard at work on one, and if the advance single they released only a couple of weeks ago is any indication, this record is sure to fulfill the promise of this group’s many EPs, showering us with the kind of darkly powerful rock n’ roll that has been the province of NYC since the days of Unsane, Surgery, and Live Skull. Singer/bassist Angela Philips’s name totally deserves to be mentioned in the same breath as Thalia Zedek’s, and if you’re tuned in, you know that’s high praise indeed. Norfolk openers From Overseas explore some ambient drone guitar experimentation, beginning this show with some strong atmospherics. It’ll only get more intense from there.